Happy birthday to Walter White, and many (or at least one) more! Tonight's Breaking Bad episode was entitled "Fifty-One" in honor of Walter's 51st birthday. As you may recall, this season kicked off with a flash-forward to Walt's 52nd birthday. Needless to say, things are going to change a lot over the next year story-wise. Clearly, there is going to be a big time jump at some point over the final 12 episodes, and I am starting to think that maybe the jump will happen in the second half of the season (which sadly won't air until summer, 2013). First of all, I loved seeing Skyler begrudgingly turn Walt's bacon into a 51. Of course, in the flash-forward that we saw in the first scene of the season, Walt continues the bacon birthday tradition alone at a diner. And that of course ties back to Walt getting "treated" to veggie bacon for his 50th birthday back in the series pilot. While Walt and Skyler was the main focus of this episode, I want to talk about Lydia first. We haven't seen her since Mike decided not to kill her, and she has not loosened up since then. The DEA arrives at her Houston office, led by Hank and Gomez. She rats out her methylamine guy and then generally freaks out, even screaming into a pillow after the feds leave. Later, when Jesse shows up to pick up the critical meth ingrediant, Lydia finds a GPS device on the barrel, but Mike later determines that Lydia planted it as a way to get herself out of the drug trade. So, once again, Mike intends to kill Lydia, but this time Jesse and Walt get in the way. 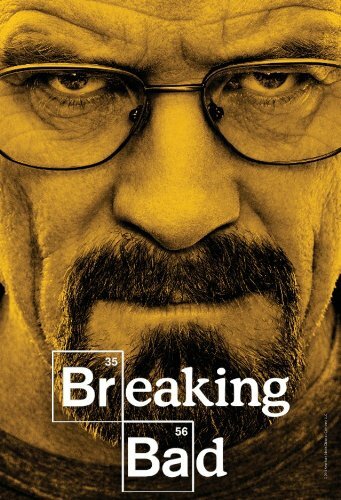 Jesse because he doesn't want to see somebody get killed, and Walt because he wants to cook a ton of meth and doesn't want to have to find a new source. For now, Lydia lives to freak out another day. I hope we find out at some point soon why Lydia got into the drug game in the first place. A woman this high-strung wouldn't reasonably get in the game for kicks, it would seem. In any event, I don't like her chances of surviving. Speaking of not surviving, we've got another casualty this season. Say goodbye to Walt's Aztek. Walt dumps the iconic bland ride for $50 and then splurges on two fancy cars for himself and Walt Jr. (though he has sensibly leased them, he tells his family later). Also, he's sure to take his Heisenberg hat out of the Aztek before selling it. He wears the hat quite a bit in this episode. This is certainly worth noting. Anyway, onward to Walt and Skyler. Skyler remains on edge and afraid of Walt. She tries to get Walt to agree to send Walter Jr. away to a boarding school, but Walt won't have it. Then, at Walt's "party" (which includes only Hank and Marie), as Walt talks about the last year of his life and how much Skyler helped her, Skyler stares into the pool and then walks into it. as though she's seeking refuge by drowning into nothingness. She is saved of course, and it seems to become clear that Skyler's intent was to get Hank and Marie to agree to watch the kids for a couple days while she and Walt work out the whole "Ted Beneke affair" thing, or so Marie and Hank think. This finally gets Walt's goat, and he stops being loving and kind toward Skyler and goes into straight menace-mode. However, Skyler is willing to stand up, and she is determined to get the kids away from Walt, and also herself, where they will be safe. However, Walt pokes holes in all of Skyler's plans, and finally she just relents to the fact her only real recourse is to wait for Walt's cancer to come back, and for him to die. The dynamic between Walt and Skyler was really intense in this episode, and well done at that. It wasn't flashy and there was no gun fire, but it was still riveting, with some of the most engaging work of the season. Clearly, Walt and Skyler's relationship has once again completely fallen apart. When Walt returns from the (meth) office one night, he finds Skyler chain smoking on the couch, seemingly ashing into a mug with the number "51" on it. It is worth noting that in the flash forward, there is nobody else with Walt. No Skyler, no Walter Jr., no Holly. This doesn't surprise me, and I think we will find out what happens soon. I'm raising the threat level on Skyler's survival on this half of the season now as well. Speaking of Walt's birthday, Jesse buys him a nice watch. Oh, Jesse. If you only knew. Meanwhile, Hank has been promoted. He's now in charge of the Albuquerque office of the DEA. So, he's off the Fring case, but he's now managing all of the cases covered by his office. This episode was directed by Rian Johnson. Not only did he direct the episode "Fly," but he directed the great movie Brick, the good movie The Brothers Bloom, and the upcoming movie, Looper. I felt the episode was directed quite well. Granted, this is a show that is often directed well, but Johnson has his own style. Skyler and the pool was particularly well shot. Although, the episode did end with a closeup of a ticking clock, which was a bit on the nose. This was the the best of the season so far. It had some great dramatic tension, and some of the best acting and dialogue of the season. Things aren't blowing up yet, and pieces are sort of still getting put into place, but they are putting those pieces in place in a more exciting, dynamic, engaging fashion this time around. We've only got four episode left in this chunk of the show. Things are going to pick up. I feel it. I almost feel like putting together a "Threat of Dying" power ranking. Skyler, Lydia, Mike, and Saul would all be on it, maybe even Hank. Lydia would probably be at the top, particularly since she is new and really screwing up left and right. We will find out soon enough. Breaking Bad: Walt, Inc. or Mike, Inc.? Walt and Jesse (and Mike and Saul) are back in business.